As the majority of the probate record research I do is at NEHGS and on microfilm, I’ve gotten used to what is often a multi-step process in viewing the records. This varies state by state and county by county, but some relatively recent digitization efforts have made access to some of the records significantly easier. The county I will discuss in this post is Essex County, Massachusetts. For this case, my usual process for accessing records involved checking a book index first, which would provide the name, year, town of residence, and docket number. Then I would check the microfilm index to dockets, and see an outline of the given docket with the various volumes and pages on which the probate record was transcribed. Then I would get each particular probate record volume to examine each record. This involves several steps and occasionally the quality of microfilm can vary. 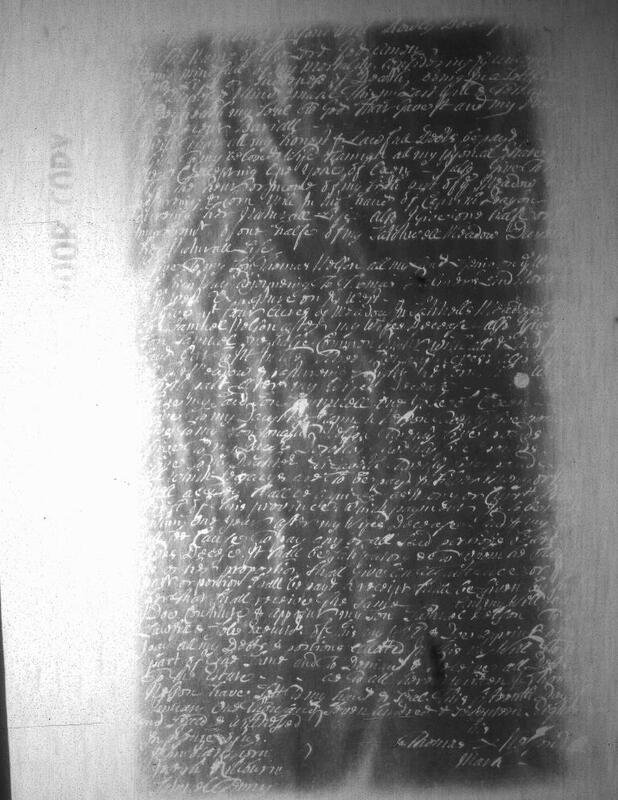 Had the dockets themselves been microfilmed for Essex County (as they are for Middlesex County, Massachusetts), the process would be much faster, and now it is: in recent years digital versions of the original file papers for Essex County that were stored the Supreme Judicial Archives have been made available on AmericanAncestors.org, rendering the two counties comparable. Since then, I have done a large amount of the research behind our annual dinner presentations for Doris Kearns Goodwin (2014) and James Carville and Mary Matalin (2015). Both Goodwin and Matalin had significant amounts of ancestry in Essex County. 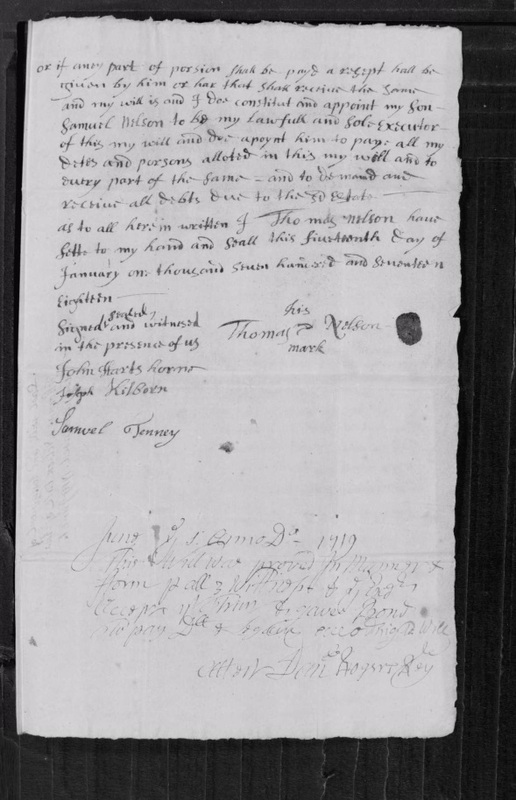 Having this database made the process of getting their ancestors’ probate records faster and with more decipherable documents, which allowed for more substantial biographical narrative to be incorporated into their genealogies. If you have put off your Essex County ancestors in the past, I suggest you check this database out when you have the chance! I am just realizing how fortunate I have been. Recently I began looking for marriage records for Eunice Stratton b. 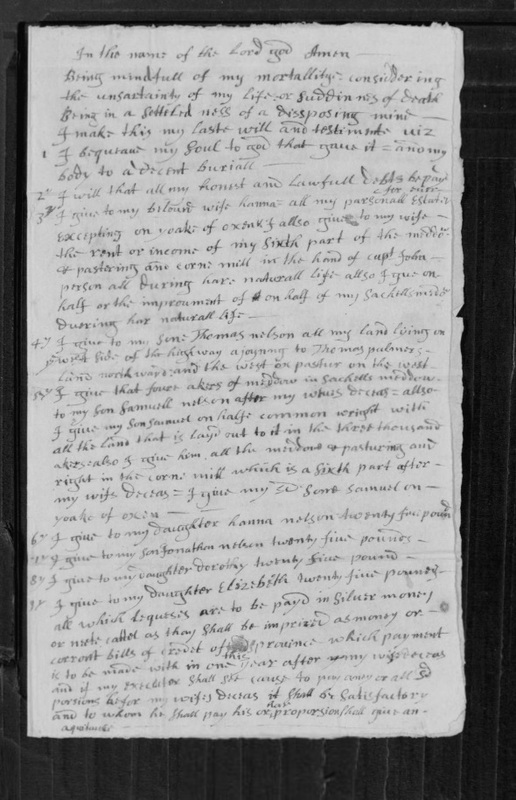 1733 in Windsor County, CT, daughter of Serajah Stratton and Eunice Case. Their son Martin was my gggg grandfather. The entire family stayed in the area for two more generations , but I could find no additional information about Eunice online. There were several Eunice Strattons in New England born within a few years of each other, most of whom seemed accounted for. A marriage record for one, in Middlesex, Mass. included only the name of the bride and groom, without other identifying information. Middlesex seemed unlikely for a marriage location for someone so firmly entrenched in Windsor County, but several researchers had attributed that marriage to Serajah’s daughter. 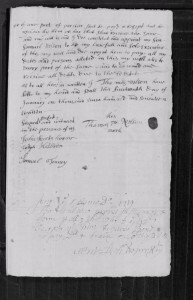 To my delight I found a probate file in the MIddlesex records that included all the papers pertaining to this Eunice’s wardship at age 12 after the death of her father, John Stratton. Records in the file continued until this Eunice was 18 and released from wardship. Later records refer to her by her married name, one with references to her father John, and with continued associations within Middlesex. This was clearly not my Eunice, so I was able to lay to rest a misattribution made by other researchers. At the time I had no idea how fortunate I was to be able to access all that information at one go. I now realize how much time and frustration it saved me. 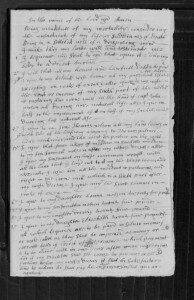 Though I have yet to find Eunice in CT records, I am keeping my eye out for new records coming online– and looking forward to my visits to both NEHGS library and to Simsbury, CT. I’m looking forward to standing on what was once Stratton land– and seeing the home of the Case family. What is the name of the database?? Note that these databases are free to anyone, no login is required. In New Orleans, you can get a lot of information on family from the conveyance records. In them, if the heirs were selling the property, they would likely list all the heirs involved. If it was from a succession, the court docket number would be listed. If there was just a sale of property not related to a succession, if the husband was selling, the wife’s maiden name would be included because she had to agree to the sale. 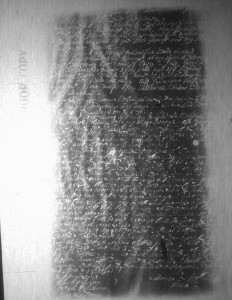 The conveyance books up to a certain time have been microfilmed. more than one book may contain entries from the same year. Thank you so much for the information on the Probate file databases.